Make a great first impression with a quality cover for your photo book. At bonusprint, there are four cover options to choose from, so you can create the album style to suit your snaps. Just pick the cover style you want, start customising then order your photo book online. Whether you’re creating an elegant wedding album or a book of cosy family photos, you’ll find the cover style to suit you. You can create a unique photo cover to make your album stand out on a bookshelf, or maybe customise a series of books in the same linen cover. You can also choose a faux leather book cover to give your photo album a traditional finish. And for a lightweight book to flip through with friends, why not go for a soft cover photo book? To get started, head to our creator tool. To personalise a faux leather-bound book or a linen cover, pick from our range of hardbacks. 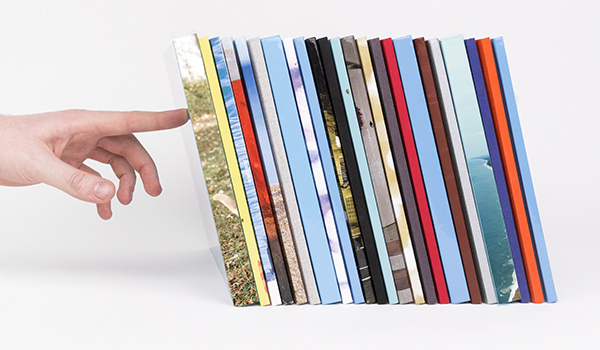 And if you want a photo cover, you can choose from our soft or hard cover books. Creating a cover image for the front of your photo album is easy and fun – just upload the image you love then position it where you want. You can also insert a text box to give your photo book cover a title. Then you can get creative with the rest of your book and experiment with our editing tools. When you’re happy with your photo book, click ‘add to basket’. If you want a linen or faux leather cover, this is where you can choose your fabric colour. Most of our hardbacks come in seven shades of linen, ranging from sparkly silver to a rich royal blue. And if you’ve chosen a leather-look finish, you could go for a classic black cover or a toffee brown. You can add a title in this step and choose gloss paper for a greater colour contrast on your snaps. Then you’re ready to order, and we’ll send your photo book to you.